Save on Button-Down & Dress Shirts at The Black Pearl. 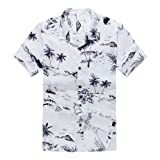 Top brands include Palm Wave, Pacific Legend, Tommy Bahama, BURBERRY, Replay, & BOSS. Hurry! Limited time offers. Offers valid only while supplies last.